And why Hollywood is, too. Folks jumped on CNN’s Don Lemon last summer for pressing one of Cosby’s 14 (and counting) accusers. Note the word I’m using: “Accusers”, not victims. All anyone has to go on is their words. Simple background checks on just a few of the Accusers revealed not only isn’t this the first time some of them have accused himof Sexual Assault but he isn’t even the first they’ve accused. Now, you might have the arguement “Why doesn’t he just say they’re lying?” and to that, his ackowledging the accusations would dignify their words and you can be sure he doesn’t want to do that. I’m going to entertain some speculation on my part and say what I think this is: Someone tried to blackmail Cosby. He didn’t go along with the plan so whoever tried to blackmail him paid these women–most of whom I’m sure never actually met him–to ruin his name. If not a third party then the women are looking for a cash grab. It’s not exactly uncommon for those in the entertainment industry. I think this applies to both the women accusing him now and the ones who accused him 25 years ago. Some of the women accusing him now are the same ones who accused him 25 years ago. Before folks decide to jump on me, just think about it: Do you honestly believe there would be such overwhelming support for Cosby in both instances if the facts revealed his was guilty of wrongdoing? Seriously, think about it. All we have right now is the “testimony” of these 14 women who seriously expect everyone other than the media to believe them at their word. For SNL’s 40th Anniversary, Eddie Murphy was asked by Producers to do a skit as Bill Cosby. Out of respect for his longtime friend and fellow comedian, Murphy refused to do the skit. Apparently, he backed out at the last minute. He did appear on SNL though to thank fans for the years of support, though. He felt now wasn’t the time to add to Cosby’s character assassination. SNL regular Kenan Thompson did the skit in his place. 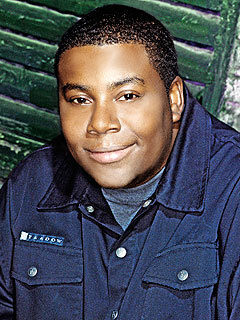 It wasn’t meant to be disrespectful but I still think Kenan should have refused to do the skit, too. Thompson and Cosby worked together during the late 90s when Kenan was a child actor. I get it, he has a family and he is under contract but he should have refused out of principle. I haven’t lost my respect for Kenan over this but he should’ve followed Murphy’s example and flat-out refused. …As the topic title says, Bill Cosby deserves the Benefit of the Doubt. …This winter weather making the need very obvious. Alot of folks might find it hard to believe but the MBTA works round the clock well after the T shuts down at 12:35AM. Outside the Winter, that 5-hour reprieve is spent putting the bulk of our tax dollars to work cleaning tracks, platforms, cars, buses and tunnels. The lion’s share of the T’s budget is spent on simply keeping the aging infrastructure running. During the winter, there’s an increased emphasis on snow removal to keep the trains and buses running. Alot of comparisons have been made with the Blizzard of 2015–more recently renamed Snowmageddon–and the Blizzard of ’78. There’s alot of key differences between then and now which I will talk about in a separate blog. One thing that is almost unchanged are the vehicles and equipment used by the MBTA. The Orange Line cars are the same and many of the Red and Green Lines cars are, too. The Blue Line’s fleet of cars were completely replaced almost 10 years ago mostly due to the Big Dig so…yeah. 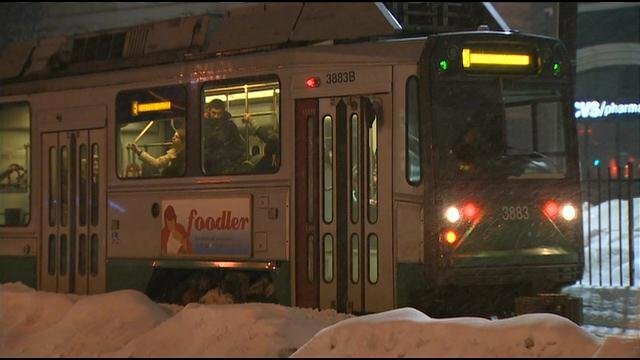 The decision to open the MBTA during incliment weather–for example back to back blizzards–is just not going to end well. As thousands have experienced going on 3 weeks now. The Red and Orange lines both have a unique issue that will likely be revisited in July. The cars used by both lines require the Third Rail to power the trains. Both also have stations outside for most of their stops. Bet ya didn’t know that one! The Green and Blue lines draw power from overhead electrical cables so they have one less problem to deal with (snow and ice). The Commuter Rail isn’t doing much better even though most of ’em are Diesel-powered. I took the Commuter Rail from South Station last Friday to bypass taking the #32 Bus from Forest Hills to Cleary Square. I ended up taking a different train than the one I normally would due to earlier trains getting cancelled. The train was VERY crowded and since it was making additional stops, it was even more crowded than usual when I finally got off at Hyde Park. The weather doesn’t deserve the blame in this case. You see, only 8 trains a weekday stop at the Hyde Park Commuter Rail station from 2 separate lines. It’s poorly made scheduling: The stop right before Hyde Park is Forest Hills but neither of the lines that stop at Hyde Park stop there. Likewise, the lines that stop at Forest Hills do not stop at Hyde Park. Makes absolutely no sense. Unlike the Rapid Transit Lines (Red, Orange, Green and Blue Lines) the Commuter Rail is a high-speed and travel time is WAY faster in comparison. The situation in Roslindale and Hyde Park in regards to the T is pretty bad. Most bus stops remain unshoveled or poorly shovel from rhe first round. I have seen buses drive past bus stops with waiting commuters. The demand for increased service to Hyde Park and Roslindale is certainly there. The #32 is one of the bus lines identified as meeting the criteria to get larger buses. To my knowledge, only the #39 (Forest Hills-Back Bay) and the #28 (Ruggles-Mattapan Square) have the larger buses and increased services. That needs to change. In case you’re wondering, Tiffani Thiessen (Kelly) actually is pregnant. They simply wrote her pregnancy into the sketch. Noticably absent from the sketch–as well as recent reunions–are Dustin Diamond (Screech) and Lark Voorhies (Lisa). Lark moved on since her time on Saved by the Bell (1989-1993) according to her IMDB page. She’s still in business but does alot of off-screen work now. It’s likely her position as head of her own production company kept her from being able to make it with the rest of her former colleagues. I don’t see it as a snub personally. That said, disregard the crap being spewed about her on the You Tube video’s comments. While she is the only member of the cast who is barely recognizable (Warning: The IMDB picture of her is actually her now. Disregard the one floating around claiming to be of her. She has said it isn’t her and sued the magazine that claimed it was her. ), I seriously doubt that’s why she didn’t appear in the sketch as she did appear in reunion specials with the others (excluding Dustin Diamond, see below). After all Jimmy Fallon technically wasn’t on the show yet he appeared anyway! Dustin’s absence is ironic for a number of reasons. First, he’s sitting in jail facing attempted murder charges. Second, he cut all ties with the cast right after the series ended. Third–prior to his recent arrest–he’s been broke for some time. He actually wrote a controversial autobiography about his experience on Saved by the Bell against the advice of basically everyone. In reference to Dustin, his former co-stars opened up in interviews and reunion specials and said he was very distant with all of them outside filming. He was “Screech on screen and off”. According to his book, Dustin admitted he didn’t make friends with his co-stars because of the age difference (he was 12 in 1989 and the others were 15) at first but also allegedly because he “was left out”, whatever that means. In short he threw his co-stars under the bus in his book, going so far as to say everyone except him was in a relationship with someone else at one time or another (what a surprise). Of course, his co-stars vehemently deny his claims. Actually, no proof backing up his claims has ever been found so it’s basically his biased word against 5 (or more) other people. What little credability Dustin had before the book was swept away after its release. …Now he’s in a place where he can do no harm to anyone including himself. It really is a shame how his life turned out given for almost a decade, as Screech he brought joy to a whole generation of kids and teenagers. It’s sad to hear him say the experience ruined his life in one breath and trash talk his co-stars in the next. On a more upbeat note, the sketch renewed hope by longtime fans there might be a new series in the works with members of the original cast or a reboot with a new cast. Girl Meets World (sequel to the 90s sitcom Boy Meets World) showed it’s definitely possible to revive an old series 10+ years after it ended. A new Full House was confirmed last year so…yeah. Anything’s possible! Every month another country joins the Anti-ISIS Coalition. Last month France and Japan joined. As of yesterday, Jordan is on board. The reason you’d think was borrowed from a movie: The Jordanian Fighter Pilot they captured in December? Turns out he was burned to death on January 3. The Jordanian government refused to negotiate a possible prisoner release in exchange for the pilot until ISIS provided proof of life, which they obviously couldn’t. Now, some folks might be pissed off the media has access to the execution videos ISIS puts out while at the same time refusing to air it. There is no benefit in airing it on TV in the US save to ISIS. They want the attention that would bring and at the very least, Coporate Media is smart enough not to allow themselves to be used to spread the ISIS Propaganda. That and it’s also likely the Government explicitly said “don’t air the videos”. I see it as more of a common sense thing personally. Those who “REALLY” wanna see it know how they can. I have no interest in seeing the vids personally so no I’ve never seen any of them out of respect for the families of the slain. Getting back to the main topic though, the number of countries committed to fighting ISIS Militarily or otherwise has grown. To say Jordan taking a more active role is a big deal is an understatement. It’s no exaggeration to say Jordan’s King Abdullah is a Warrior King. He trained in the US and has seen more than his fair share of combat. ISIS has no idea what it’s done invoking the wrath of the Jordanian military.